During the first week of December, students all around the world will learn computer science during the annual Hour of Code event led by Code.org. It’s an important effort, aimed at helping kids from all backgrounds learn to code and work toward successful careers making use of computer science skills. At Amazon, we are committed to inspiring students to participate in science, technology, engineering, and math (STEM) education and preparing them for careers through programs such as AWS Educate, Amazon’s global initiative for students 14 and over to build skills in cloud technology, and Amazon Future Engineer. Last year, Amazon began a $10M, five-year collaboration with Code.org, which includes the AWS infrastructure support that powers Code.org and the Hour of Code. Also, the AWS Educate program hosted an Hour of Code activity that was used by more than 154,000 students worldwide. This year, AWS is increasing its support of Hour of Code through several initiatives. AWS Educate is hosting Scratch Talk, an activity that enables students to bring characters to life on-screen using Amazon Lex to help their characters speak. Students participating in the Hour of Code can register for AWS Educate by going here. AWS has also built the Alexa Blueprints activity, which will inspire students’ imaginations by using voice, artificial intelligence, and machine learning to create an Alexa Skill that can tell a joke, sing a song, or share a story. Additionally, Amazon Future Engineer is sponsoring the Hour of Code: Dance Party, featuring artists like Katy Perry, Madonna, J. Balvin, Sia, Keith Urban, Ciara, and more. In today’s technology-heavy, innovation-driven economy, students need the opportunity to learn computer science concepts and skills. To successfully support more than 100,000 Hour of Code events around the world happening this week, Code.org needs both scalability and availability. To meet the challenges of providing an online coding environment to millions of students, Code.org chose to run its website, learning platform, and the Hour of Code on the AWS Cloud. “We went with AWS because it offers the right combination of scalability, reliability, flexibility, and security,” says Stone. Anyone, anywhere can organize an Hour of Code event. Code.org offers one-hour tutorials in over 45 languages, so no experience is needed. Organize an Hour of Code during December 3-9, and register it here. Last year, we caught up with participating student, Niamani Knight, to discuss her participation in Hour of Code. 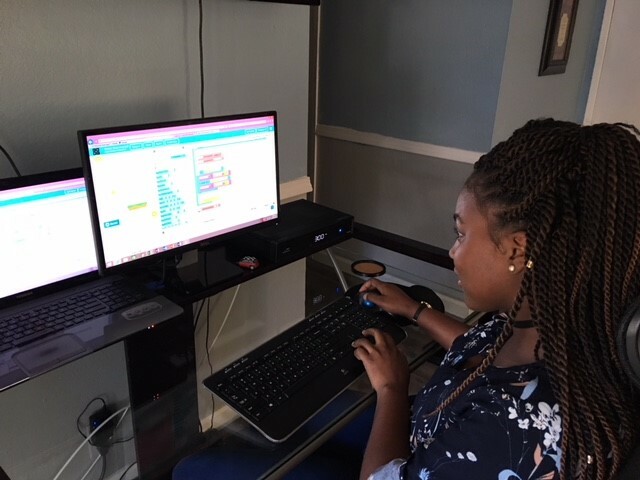 Read about her experience and how she’s building opportunities for other students to learn coding here.